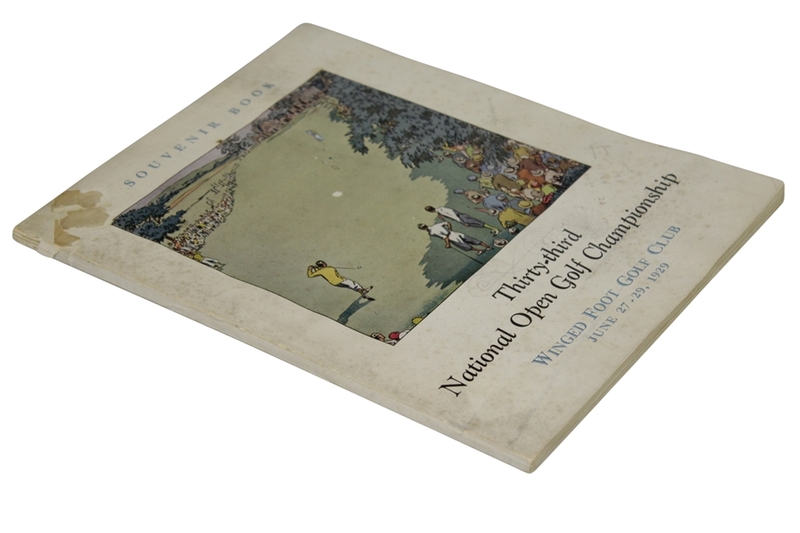 Lot Detail - 1929 US Open at Winged Foot Program - Bobby Jones Winner! 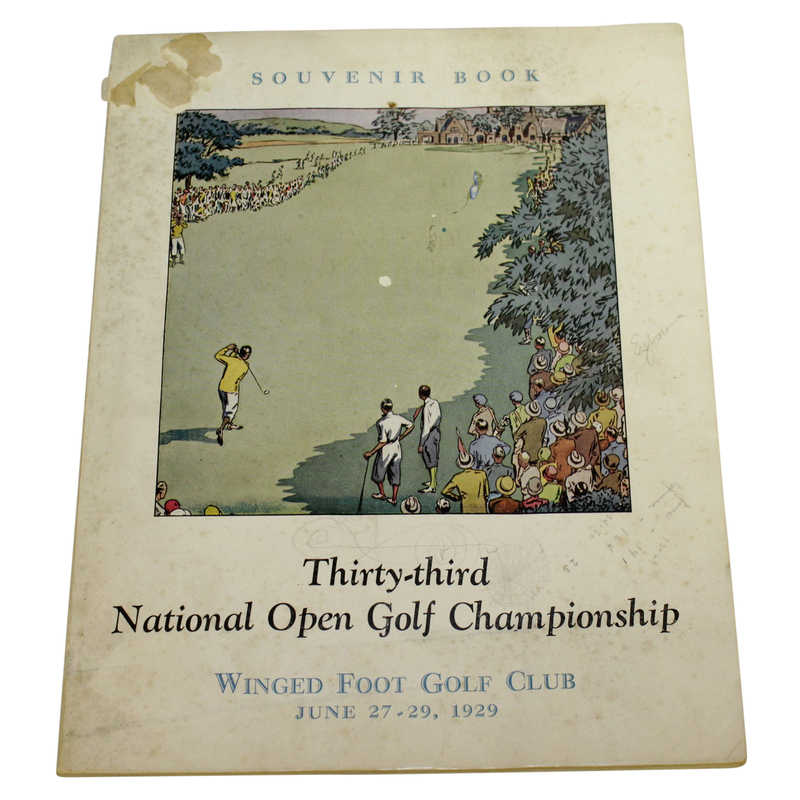 1929 US Open at Winged Foot Program - Bobby Jones Winner! The 1929 United States Open, contested at Winged Foot Golf Club, saw Bobby Jones open with a first round 69, his 31 on the back nine outstanding in all regards. At the end of four rounds of play Jones remained tied with Al Espinosa. 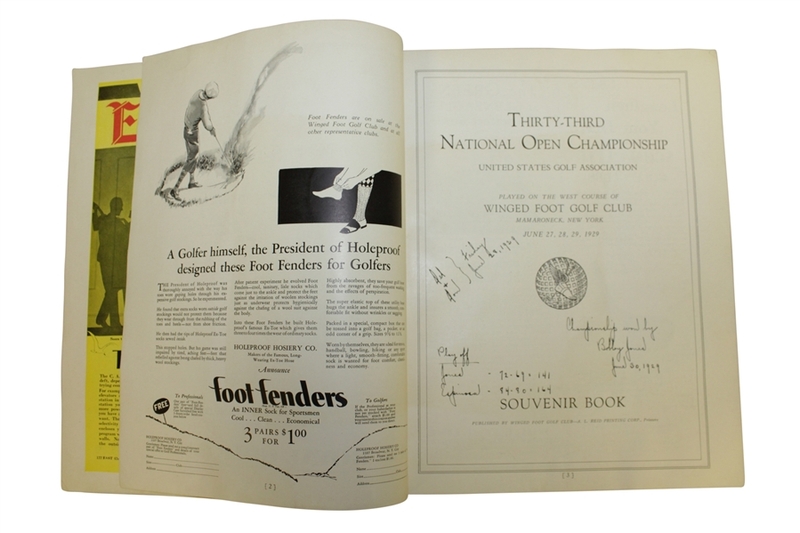 The 36-hole playoff the next day saw Jones put a staggering 23 stroke exclamation point win in posting his third US Open Championship. 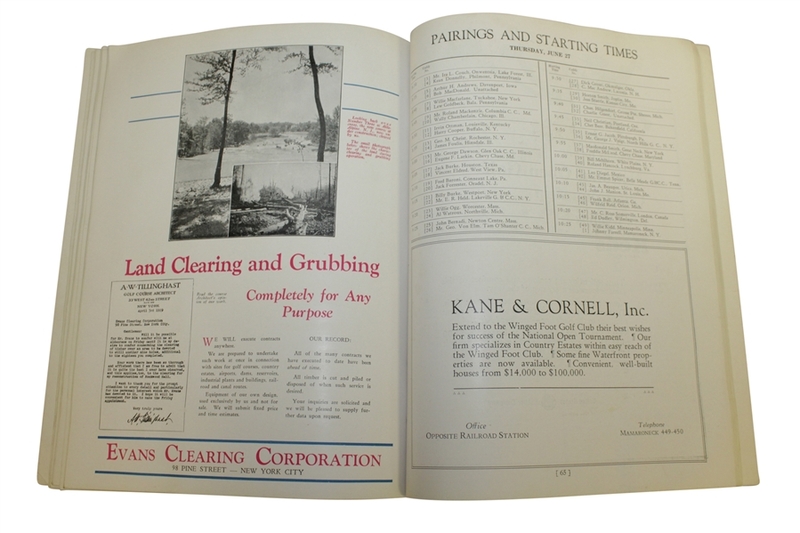 As outstanding as Jones' performance was during the '29 Championship, the program from that victory takes greatness to another level. 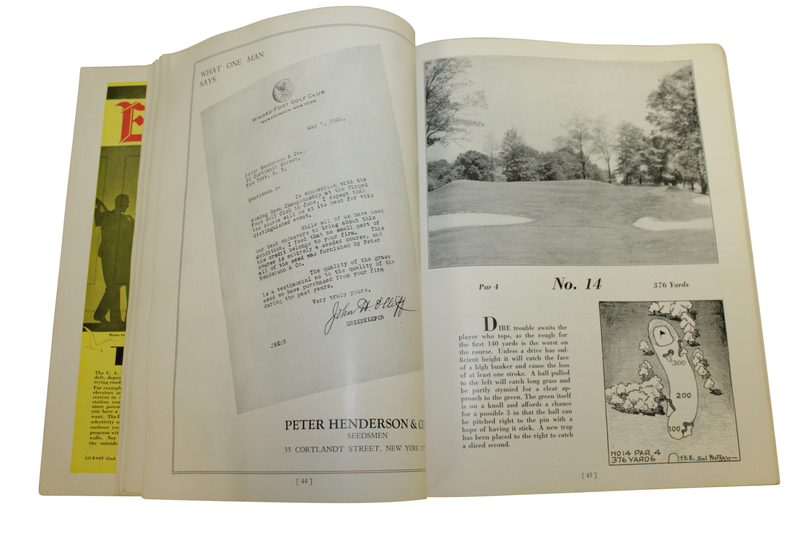 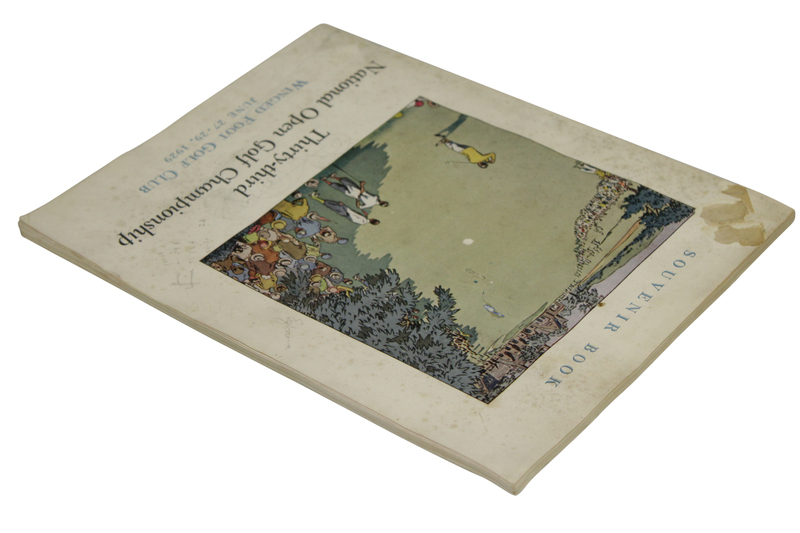 First for its content, the 1929 program contains hole by hole descriptions from legendary course designer A.W. 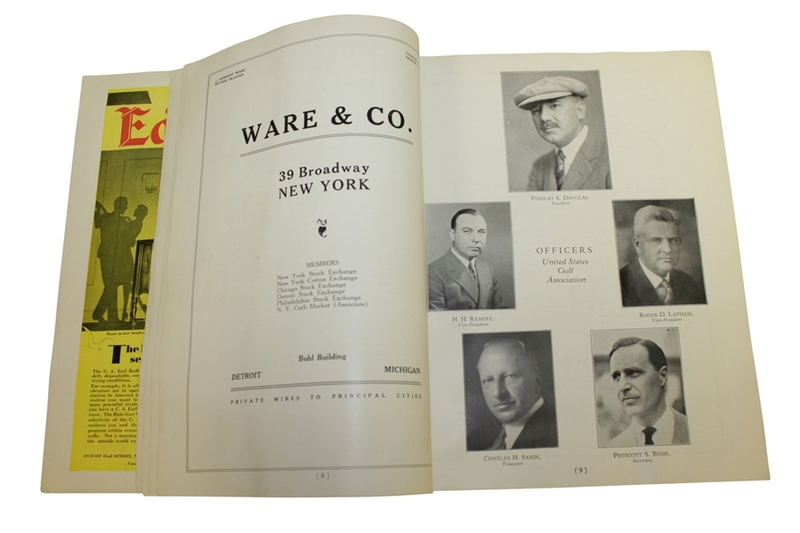 Tillinghast who crafted the exacting course that is Winged Foot which saw its first round played in 1923. 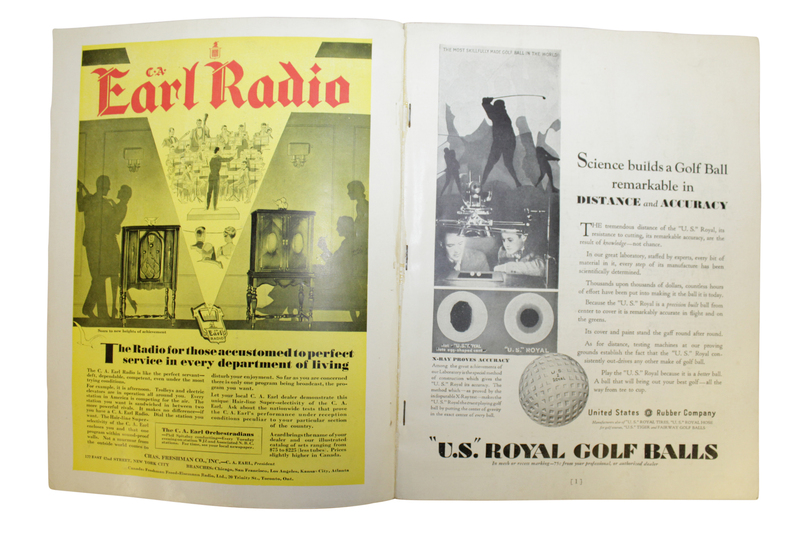 Secondly, it is Bobby Jones major winning material from the peak of his career as the darling of the "Golden Age of Sport". Finally, this publication is drop dead one of the most challenging of golf programs to locate. 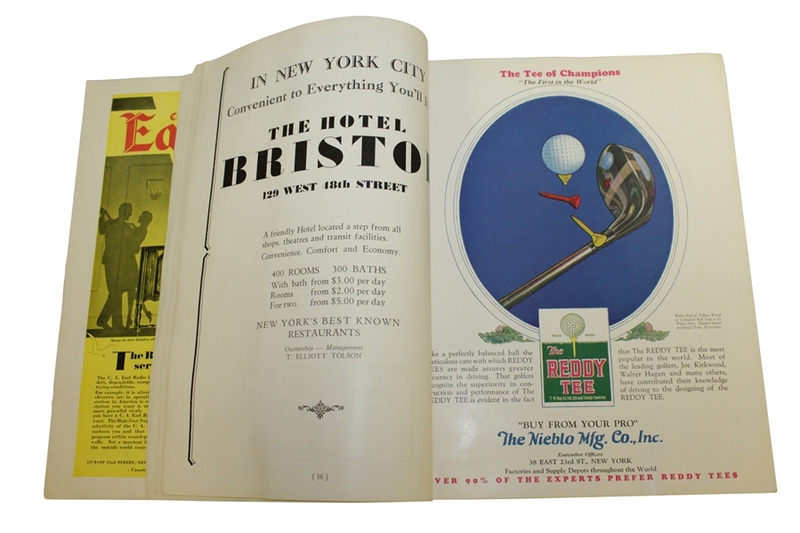 So difficult that famed golf collectors and authors Mark Emerson/Roger Gilchrist did not have an example to depict in their comprehensive "Golf Collectibles" guide of 2004. 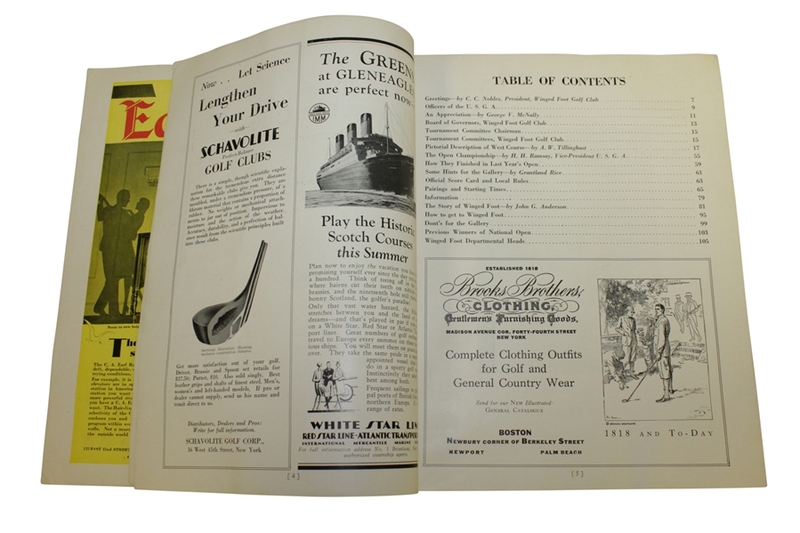 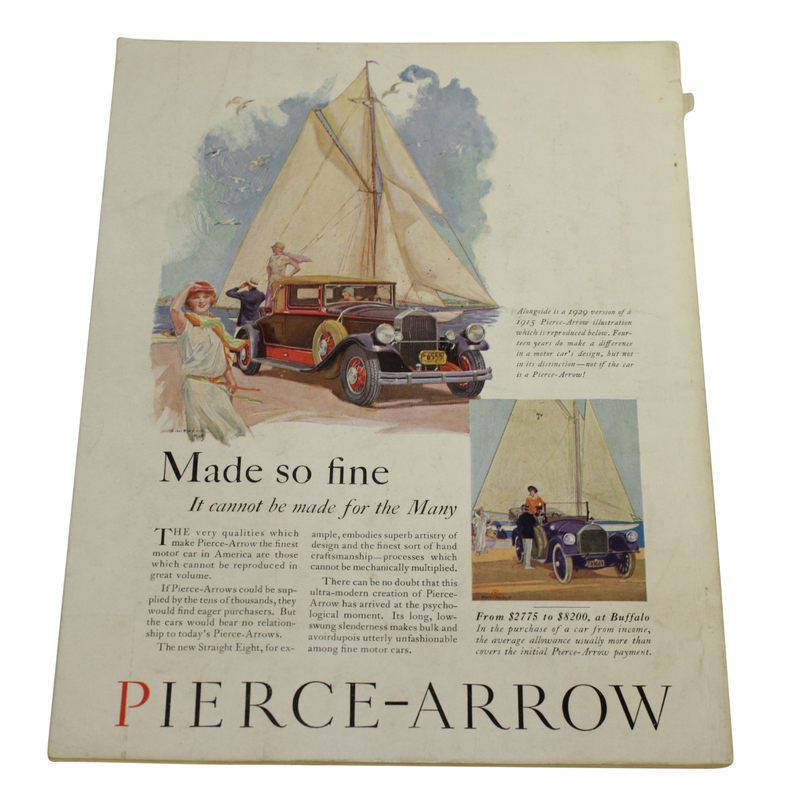 This program has paper adhered to top left corner and half an inch of missing binding, as well as writing on the cover and on page 3. 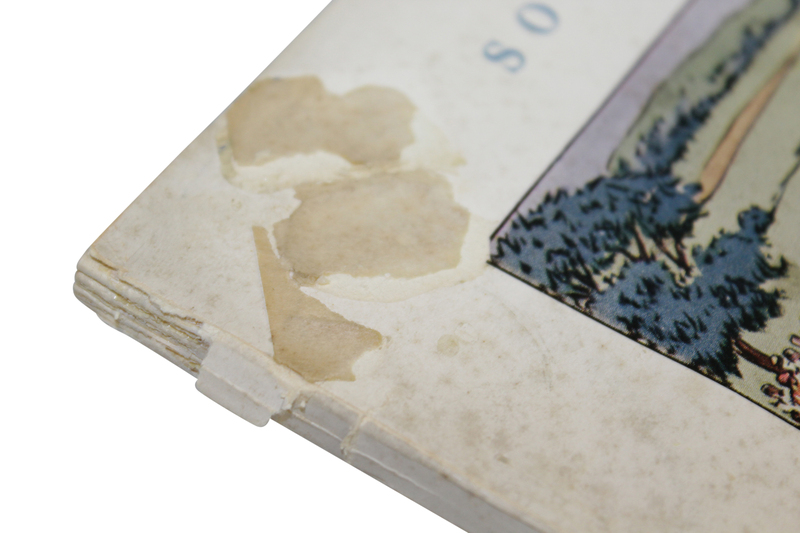 Despite overall wear and stated condition issues, the program is complete and highly presentable.